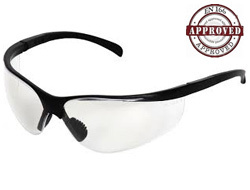 We believe in giving the best customer experience and advise to our customers to help them choose the right safety glasses for their needs. 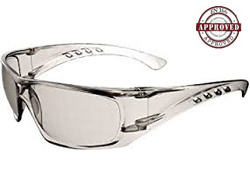 The right safety glasses are not always the most expensive and often if the style and functionality fit the purpose of the safety glasses we find we can help the customer find safety glasses that fit within their requirements. 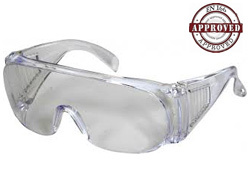 Our low-cost entry level pair of safety glasses. 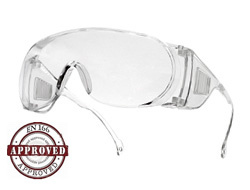 Certified to the EN166 European standard including anti-scratch lenses! 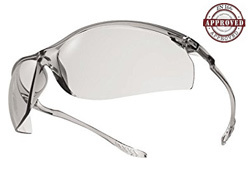 Giving a wide field of vision these glasses come with adjustable arms and a free neck cord for added comfort and ease of use. A light weight design and adjustable side arms mean this is a great all rounder. 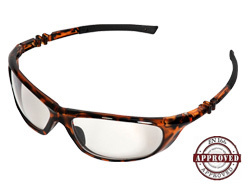 They are optical quality 1 so you can wear them all day long. Comfortable TPR sidearms and nose bridge, lanyard and foam gasket to fit your needs. With a wraparound design and being light weight it really can suit most settings. Comes in a couple of colours with blaxe pink or saturn yellow sidearms. 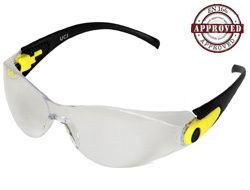 A low cost and superbly designed pair of safety glasses with EN166F lenses, anti-scratch coatings and UV protection. Available in clear & smoke Lenses. 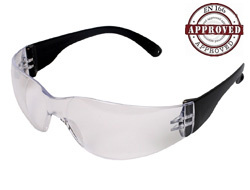 The entry level cover spectacle designed to be a low-cost and often disposable pair of safety evewear for visitors or in schools and labs to be shared and returned after use. 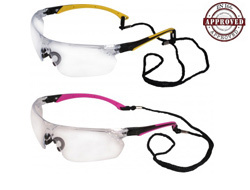 A simple no-thrills safety goggle with adjustable head band, ventilated body and high quality lenses. 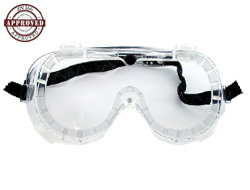 Ideal for schools and labs as protective eyewear to share and easily replaced. 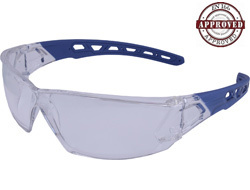 If your looking for some competitively priced safety glasses that will also fit over most existing prescription glasses if needed then these could fit you perfectly! An ultra light weight modern design with a curvature design. These glasses wraparound your face for extra comfort. A multipurpose safety glass to suit different working environments. 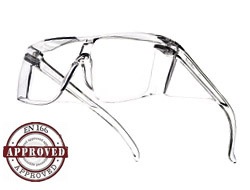 These glasses look great and really fit comfortably around the face. 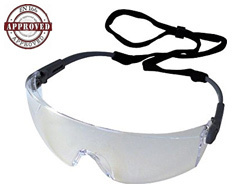 Add to that a screwless design and these safety glasses will help to protect your eyes whlist you work, play sports or holiday.